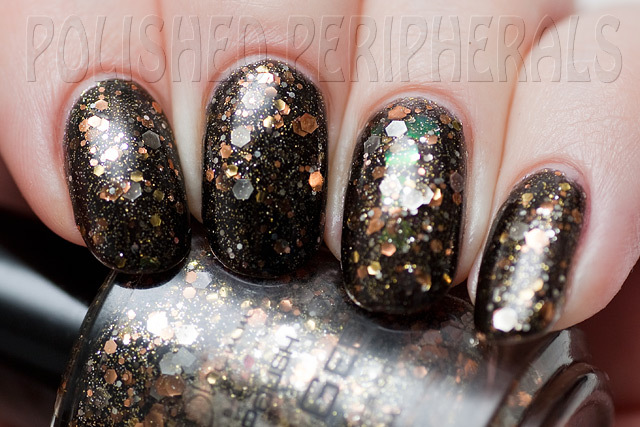 Another Friday another glitter bomb :) For this Glitter Me Up Friday I chose KBShimmer Band Geek. I am definitely not a band geek, there is no musical talent in this family, but I love this polish. 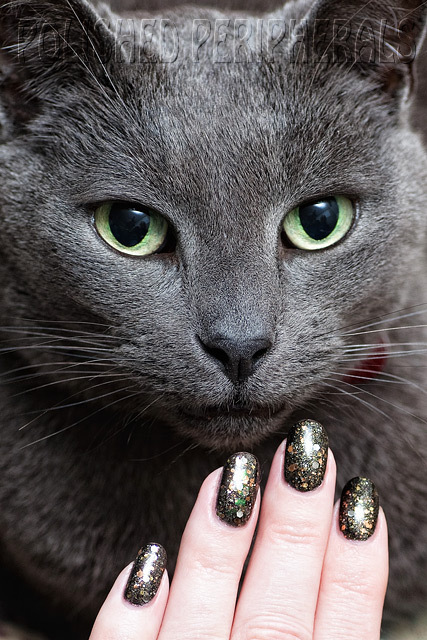 It's a black jelly base with lashings of silver, gold and copper glitter. 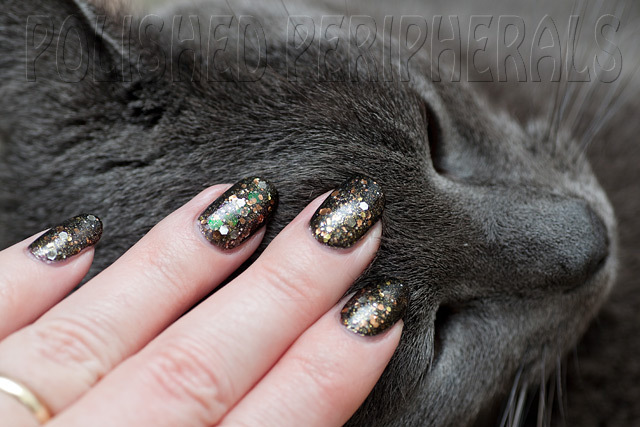 The black jelly is wonderfully opaque in 2 coats without burying the glitter. 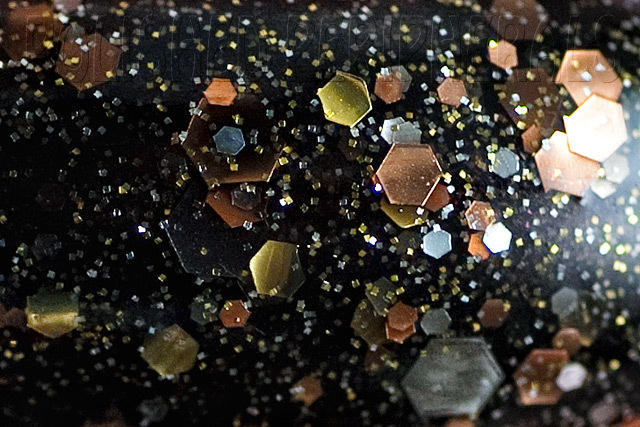 There is so much depth to this glitter. This is 2 coats with a topping of Seche Vite. Fabulous glitter spread and nice and smooth with the top coat. Unfortunately the Seche Vite is already causing shrinkage. It wasn't so bad when I took these photos last night but today (Saturday morning) I can feel all the edges lifting. These photos are taken indoors with bounced flash because by the time I had the kids out of the way and my nails dry there was no natural light left. Do you think Crichton approves of Band Geek? Clown Puke, Band Geek, Bejeweled and Lavender Vanilla Whipped Shea Butter. Crichton makes such a gorgeous spokesmodel!